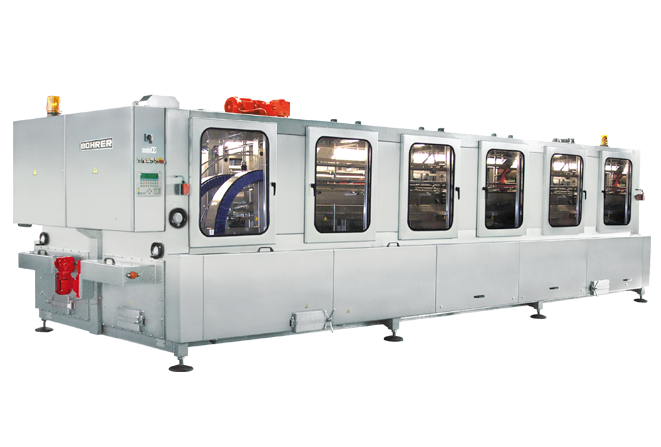 By virtue of their modular design, they can be efficiently adapted to individual wishes and later upgraded accordingly to suit requirements. 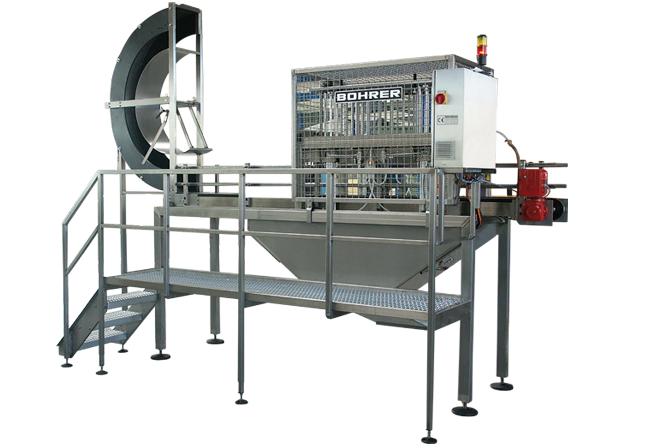 Compact double-end machine with immersion soaking bath and two cleaning levels located above this with intensive lye spraying, circulation re-spraying and fresh water final rinse. 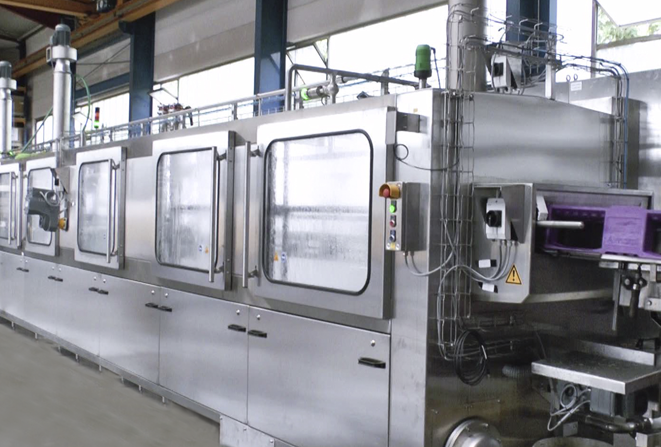 with intensive lye spraying, circulation re-spraying and fresh water final rinse. 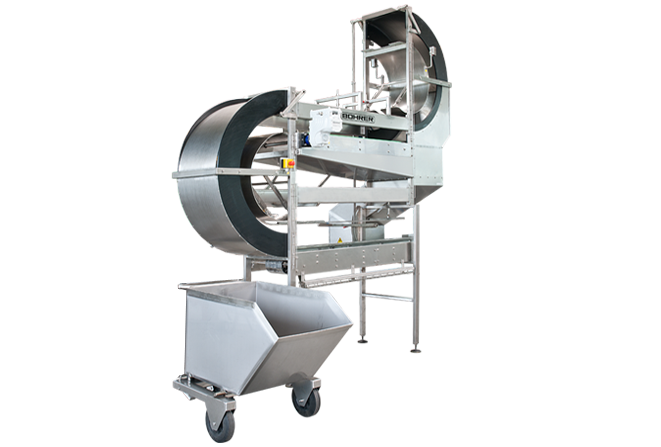 An advanced tunnel crate washer with one cleaning level, especially suitable for hygienic applications demanded by meat producers and dairies. 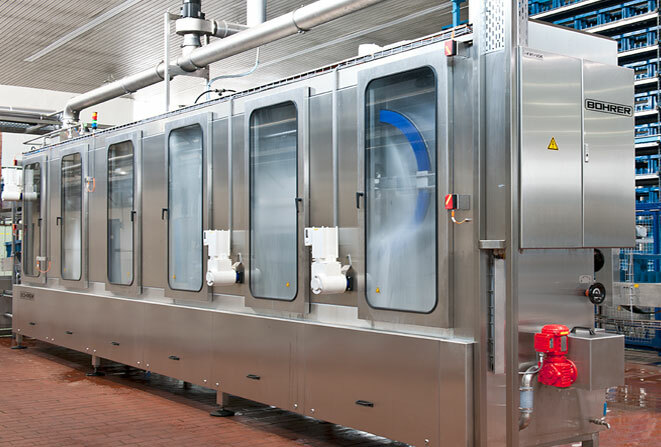 consisting of intensive lye spraying, circulation re-spraying and fresh water final rinse. 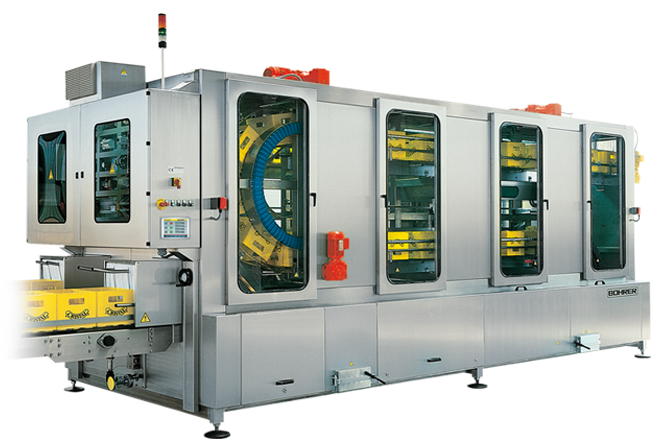 High performance drying for diverse types of container such as crates, cases and pallets. 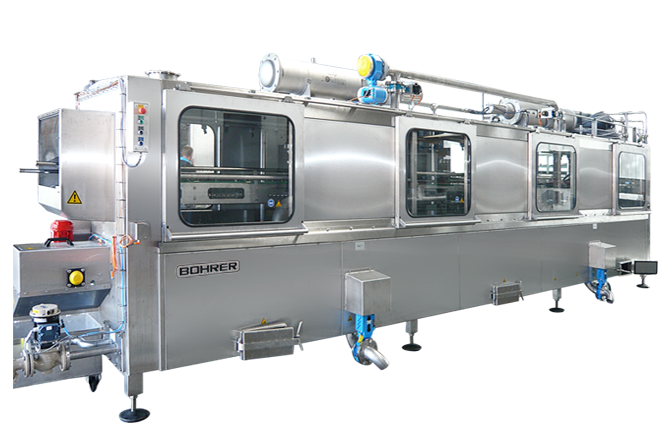 The technology in this special crate washer for storage and transportation pallets is the same as that in BOHRER crate washers for the beverage and food industry. 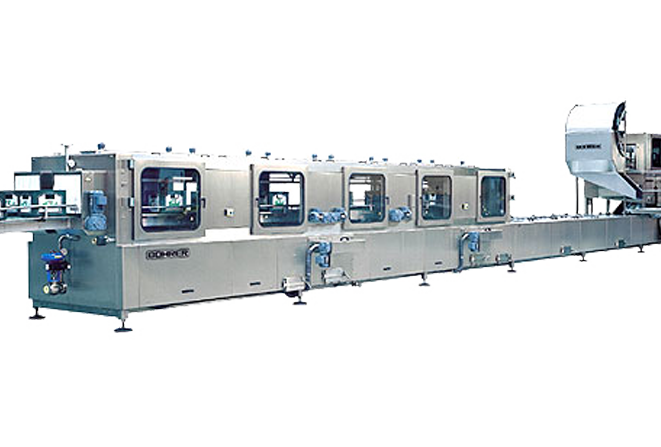 We safely remove PET non-returnable bottles that have become deformed, gummed up or wedged in the case with maximum efficiency before they enter the case washing machine. 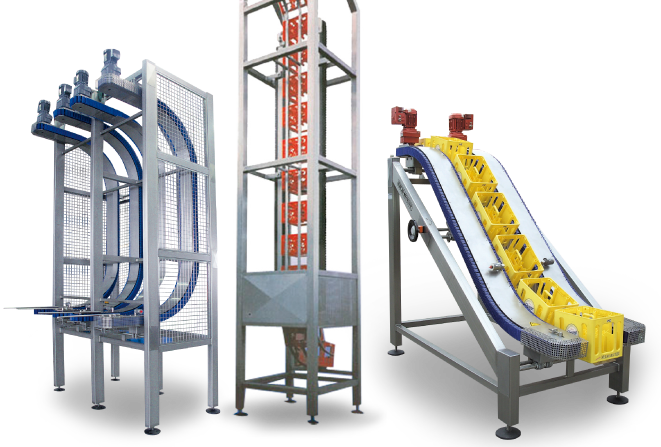 To go easy on the lye and ensure trouble-free operation of the crate washer, we recommend our upstream S turning station if crates are badly soiled. 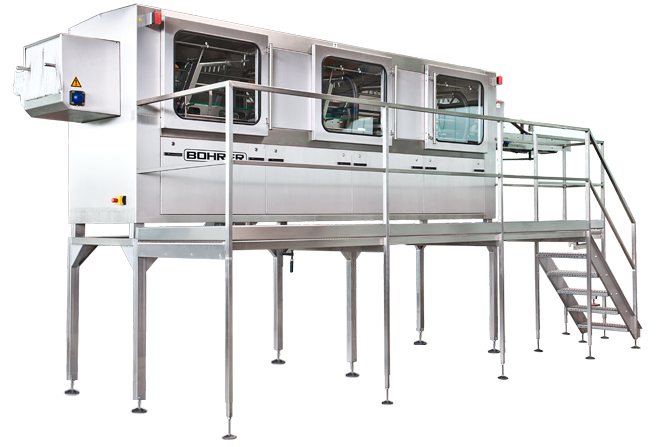 As a system supplier for container cleaning plant, we manufacture and assemble all components and conveyors which are peripheral to our cleaning systems in-house. Wir denken bei unseren Kastenwaschanlagen ohne Grenzen, in allen Leistungsbereichen und Branchenlösungen.